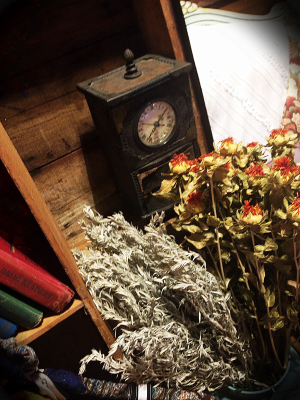 I recently made the curios transition from scientist to flight attendant. My mother has been a flight attendant my entire life and she still loves her job, so I decided to give it a try. Not that I don't love being a scientist, but it was time for an adventure, even if only for a little while. Being able to travel the world definitly has its perks... like being able to travel the world. I'm also able to get my little paws on all kinds of beautiful antiques. I've even started putting my mom to work since she gets overseas more than I do. 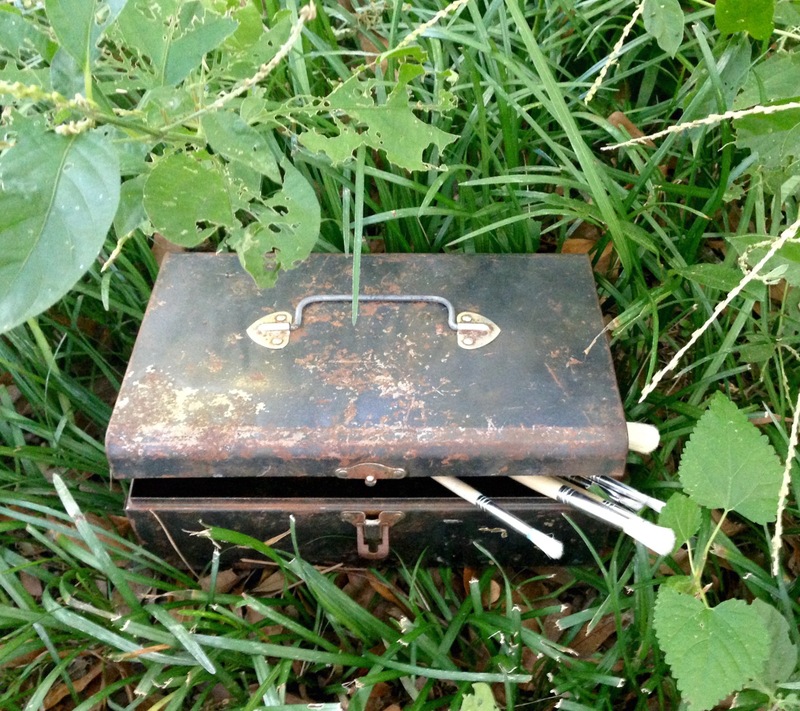 If you are looking for something specific message me and we will do our best to find it! 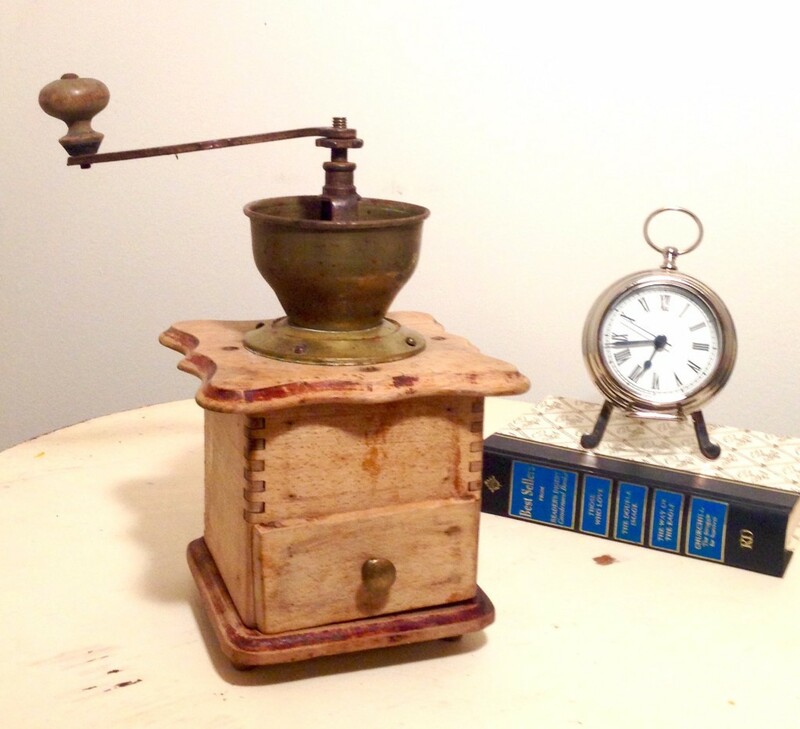 Wooden coffee grinder with metal corner plates. 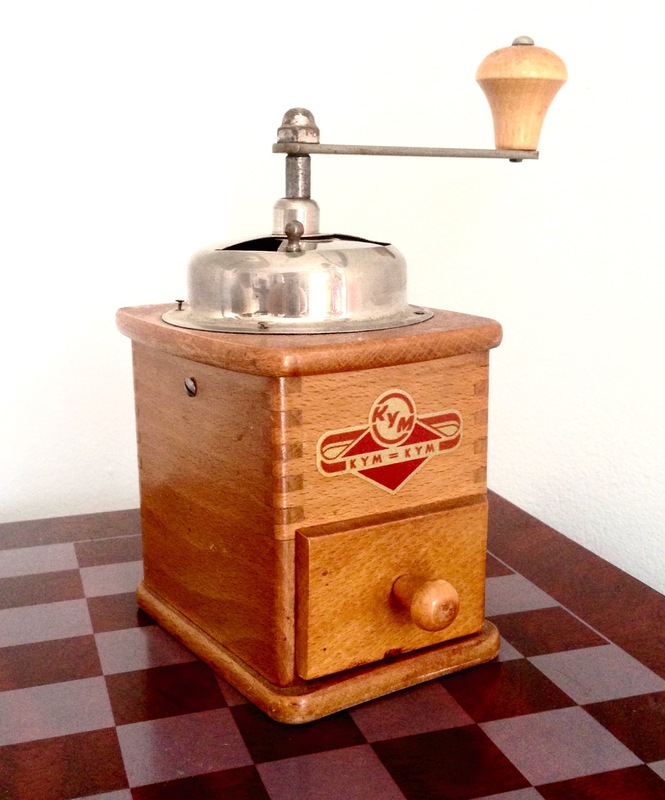 1950's German KYM coffee grinder. This little gem may be old, but it is definitely still in working condition. 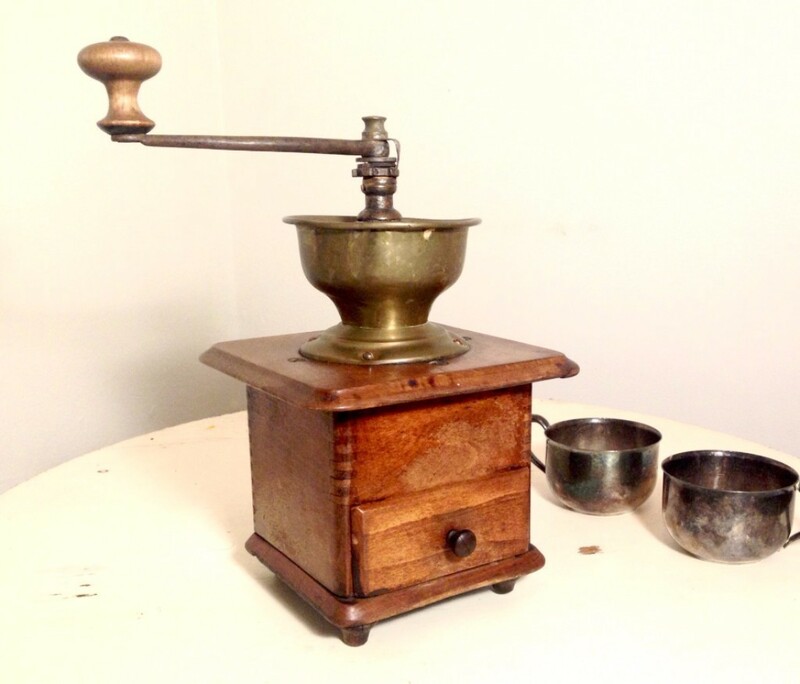 Vintage, German coffee grinder made by Garanite Fur Jedes Stuck. 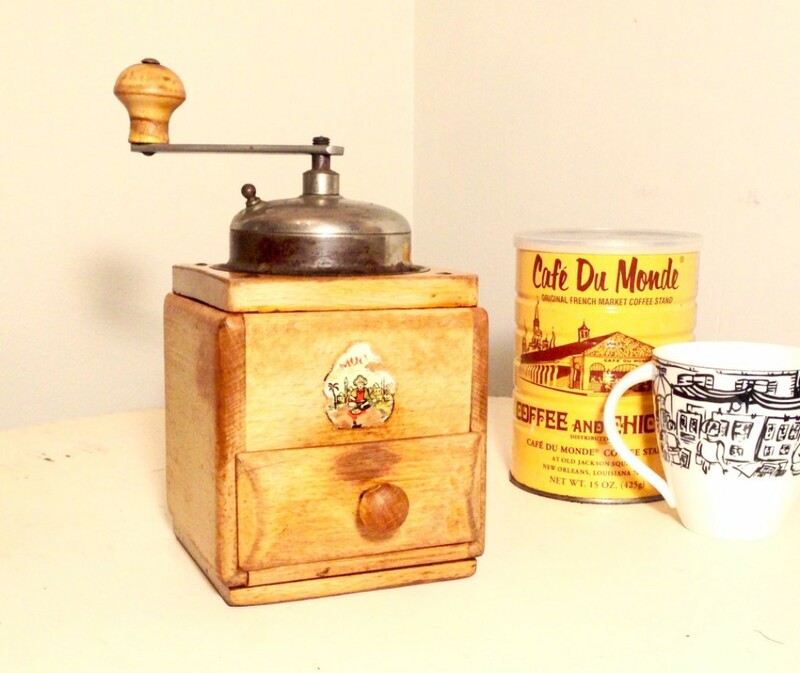 Dove tailed coffee grinder with brass cup and industrial metal handle. 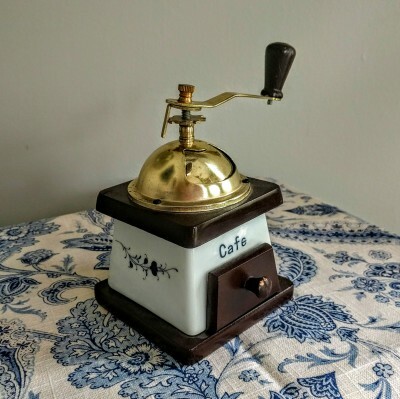 German Mocca Coffee Grinder from late 1930's or early 1940's. Warn "MOCCA" logo and slightly tarnished aluminium top give a rustic finish. 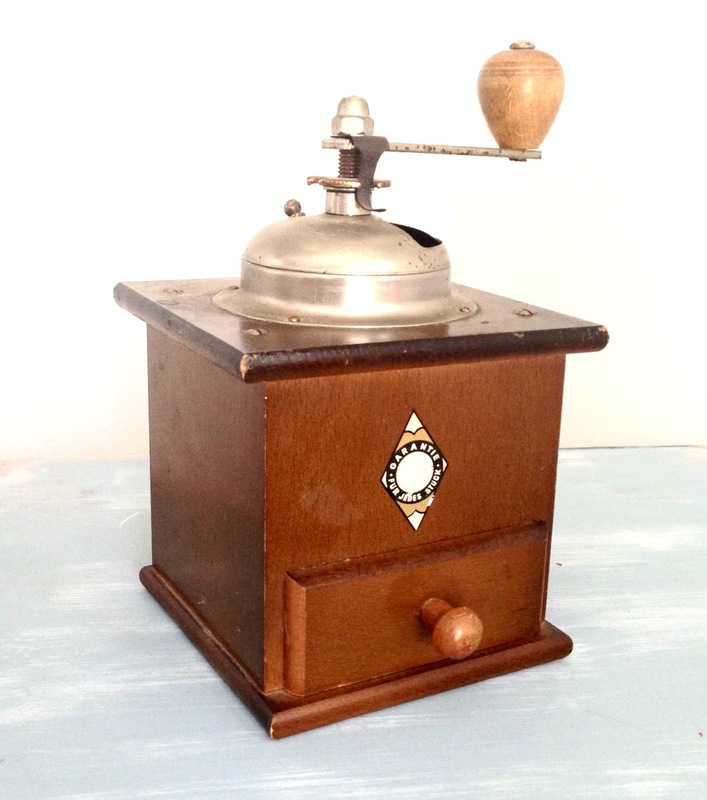 Dove tailed, scalloped coffee grinder. Brass cup with detailed industrial metal handle. 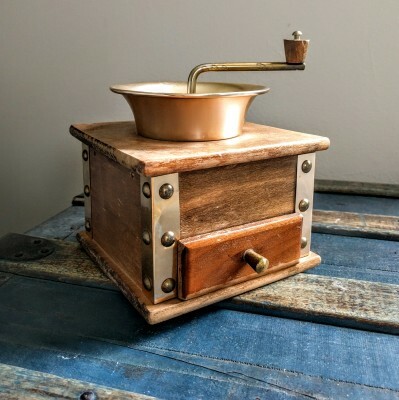 Wood and porcelain coffee grinder. Floral pattern on both sides. 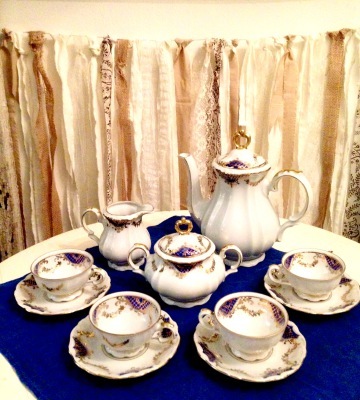 Blue and gold on white, Bavarian tea set. Five cups and saucers (only four pictured), tea pot, and milk and sugar servers.